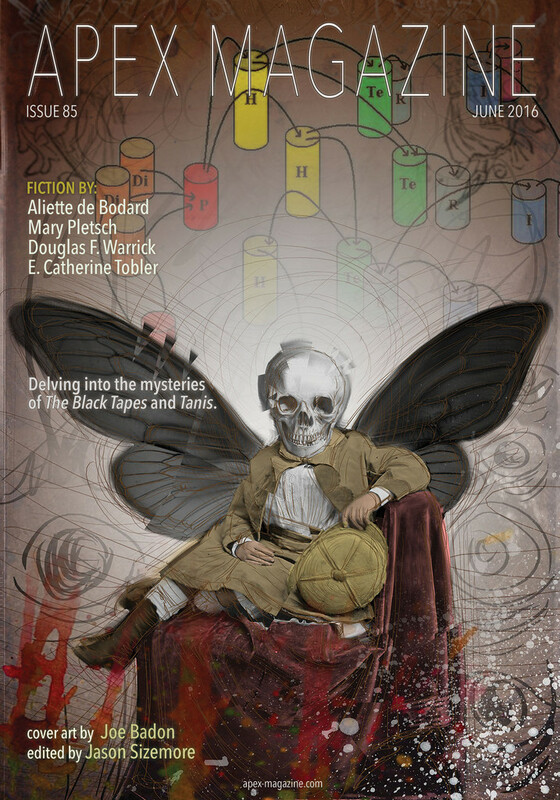 Apex Magazine Issue 85 is filled with unsettling fiction and an excerpt from Apex Publications’ next release The Kraken Sea. The original fiction is by Mary Pletsch (“Folk Hero”) and Douglas F. Warrick (“Cuckoo Girls”). There is a reprint from Aliette de Bodard (“Memorials”). The poetry is by Tina Parker, Tina Jens, and Cullen Groves. The nonfiction entries are interviews of Andrea Johnson by Mary Pletsch, and cover artist Joe Badon by Russell Dickerson. And in a special feature, Betsy Phillips delves into the mysteries of the Black Tapes and Tanis podcasts! The linked items are available immediately.